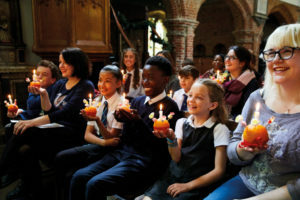 Can your school hold a 50th anniversary Christingle to show vulnerable children they are not alone? 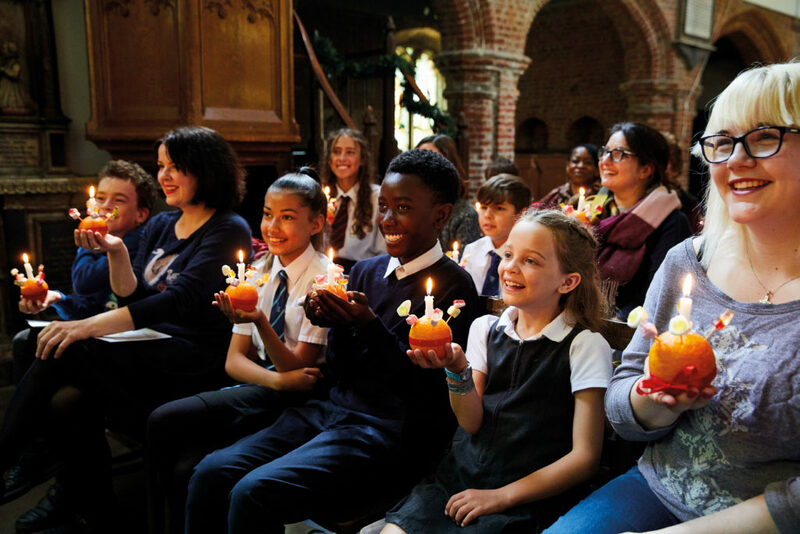 Taking place between Advent (four weeks before Christmas) and Candlemas (2 February), Christingle is a wonderful opportunity for your school to bring together pupils, parents, staff and community to share a joyful and memorable tradition that will stay with them forever. The red ribbon indicates God’s love wrapped around the world and the blood Christ shed on the cross. The dried fruits and sweets are symbols of God’s creations. For many people, they also represent the four seasons. The lit candle symbolises Jesus, the light of the world, who brings hope to people living in darkness. 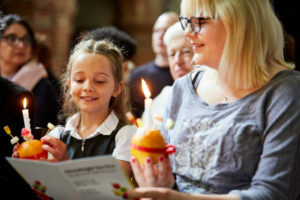 The Children’s Society provides everything you need to organise and run a joyful, memorable Christingle celebration. Our special suite of free resources includes bespoke assembly plans and learning materials, fun games and craft activities to support your pupils’ learning and creativity. Amanda was 12 when she was put into care because of serious problems with her home life. She felt she had no choice but to run away from everything. Cold, hungry, and sleeping on the streets, Amanda was at high risk of sexual exploitation, assault and abuse as criminals sought to take advantage of her. Fortunately Amanda was referred to Gillian, one of The Children’s Society’s project workers. Gillian immediately recognised how much danger Amanda was in, and provided the expert care and support that Amanda so desperately needed. Amanda has now stopped going missing, and she’s looking forward to Christmas for the first time she can remember. Holding a voluntary collection at your Christingle raises funds to help children who feel scared, unloved and unable to cope look forward to a first Christmas full of hope and free from fear.